This hatch is truly a hands-on approach that teaches a chickens life cycle and the raising of chickens in an urban environment vs a farm. The Garden Hen will provide all the materials needed. We provide the curriculum, incubator, brooder, heat lamps, eggs, feed, and feeding trays for each class or group selected for the project. We have a 21 day easy to follow the curriculum for the participating class or group. It has all of the essential elements students need to understand the life cycle, egg nutrition, and chicken adaptation. Before the chicks hatch, we offer a variety of live demos that help explain unique aspects of our chicken business, how we raise our hens, and farm to table living. 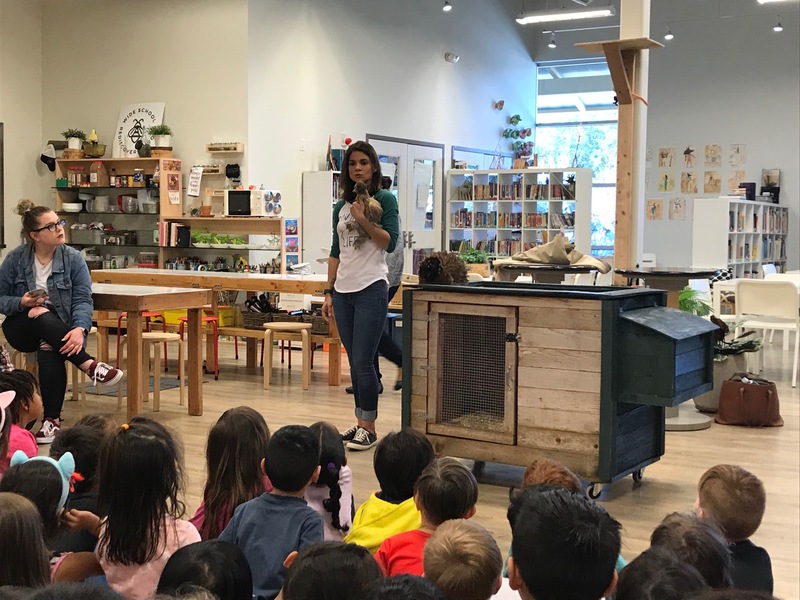 Let our hen Pinecone (frizzled silkie) bring her coop on wheels into your class or demo area for an interactive talk about backyard chicken farming. Chicken Mike and Mrs. Nicole will talk proper care for hens, parts of the chicken coop, and things we feed our hens. Another fun demo to choose from would be our Chef Scramble. This is a fun interactive tasting with a local chef (when available) of our pasture raised eggs, a few fresh veggies, and ending with a tasty treat! Of course, all our demos end with Q&As. Now for Hatch Day! Everyone is excited, Schools fear not, you are not going to be forced into chicken farming. The Garden Hen finds homes for ALL the chicks or brings them out to our farm. Let The Garden Hen set up a class/classes at your school & spread the "chicken love”!